This week, I’ve done a Q&A with Johnryon Foster, a young roper who grew up in Pennsylvania. Johnryon is 2011’s Youth World Champion. He has plenty of experience, both roping and with horses because both of his parents are familiar with showing horses. In this Q&A, he talks about his passion as a team roper. Below is a picture of Johnryon with his horse named Bevo. Q: How long have you been roping/riding? A: I’ve been swinging a rope since I could walk but I started roping live cattle off a horse when I was… I think 11 or 12. I’m 16 now. Q: How many horses do you have and what are their names? A: I have 5 horses. I have a sorrel 11-year-old mare named Rockstar, a sorrel 10-year-old mare named Suntan, a bay 5-year-old gelding named Bevo, a buckskin 25-year-old gelding named Tuck and a grey 13-year-old gelding named Casper. Q: About how many shows or team roping competitions have you gone to? A: I’m not sure how many team roping competitions and shows I’ve gone to but I try to practice everyday and I go to a roping at least 2 or 3 times a month, sometimes more. 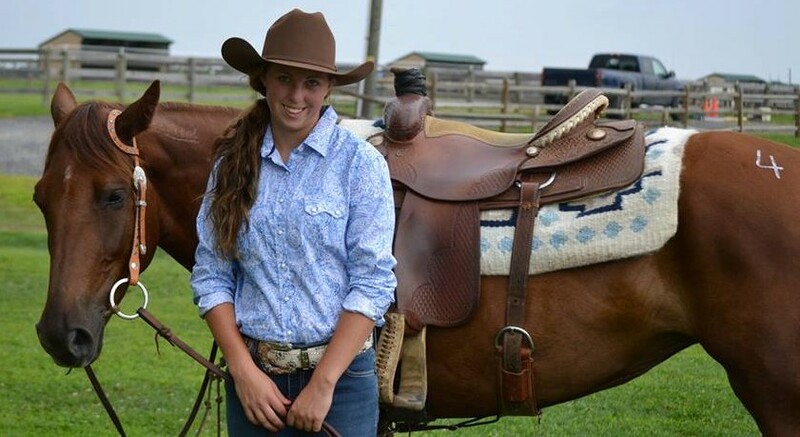 Q. What’s the hardest part about being a roper? A: The hardest part is maintaining your horses and keeping them working good, if your horses don’t work good your chances of winning are much less. Q. What’s your favorite part? A: My favorite part is always winning but it’s also great to be able to compete against people that are better than me. Q. What advice would you give to someone who wants to be good at roping? A: If you want to be good at it you have to practice hard all the time and always keep trying to make your self better. The more you go to team roping competitions the better you get even if you are not doing good you just have to keep going because eventually it will go your way!